Is your wedding video on a VHS tape? Would you like this VHS putting onto DVD? Everyone has memories, unfortunately a lot of these are trapped on old VHS tapes. It could be a wedding, or a video of your baby’s first steps, or even the first family holiday – no matter what I can get these precious memories transferred to DVD to last you a lifetime.  Vision Wave Productions provides a VHS to DVD transfer service to for just £10. I can take your home videos and put them onto a DVD, I can also provide extra copies of this DVD for £5 each. If you would prefer to receive a digital file copy of your VHS tape then just let me know, and you can either provide me with a USB or external hard drive, or I can send the final file to you via an online file sharing service, such as WeTransfer. This can be provided at the same price as a standard VHS to DVD transfer. Simply fill in the form below and I will get back to you within 24 hours. This service is currently offered to standard VHS and VHS-C, if you would like to have a different format of tape transferred please email us at info@visionwaveproductions.co.uk and we will see if we can help.